After the stunning end to The Killing III, your Danish queries answered. Mitchell and Webb talk about Peep Show Series 8. Will classic movies ever look the same again? The case of the missing OED words. The Ballad of John and Yoko as Victorian poster. If only it were real. The Sweeping Shadow of a total solar eclipse. Watching White Wine In the Sun is risky if you’re a long way from family this Christmas. The last word on Keep Calm and Carry On. Invasion of the cyber hustlers. The website that saved the BBC. Book-riffling robot reads 250 pages in a minute. Phase-change memory could soon dethrone flash memory. Will Field-induced polymer electroluminescent lighting dethrone other bulbs? Internet regulation: A digital cold war? Open access to research can save lives. 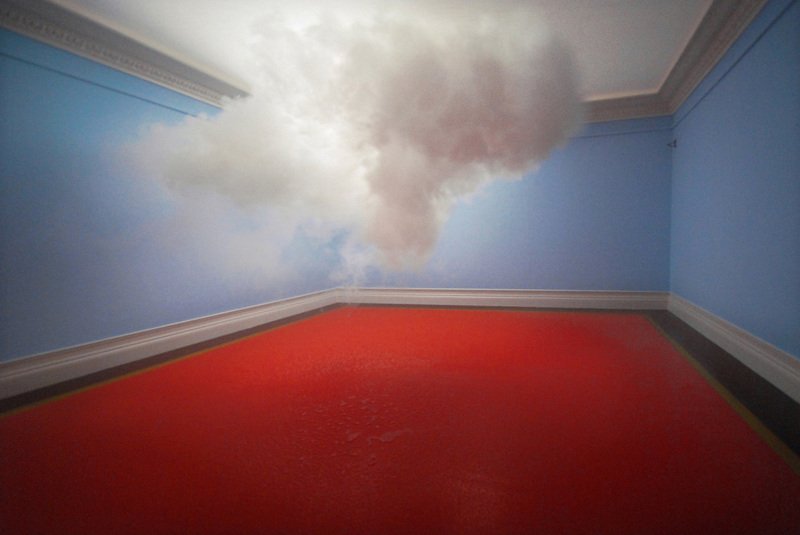 What writers most need is the talent of the room. A chat with Jon Ronson. Inside the world’s narrowest house. Dot dot dot dot dot dot dot. “For several minutes, everyone stood and applauded as Michael smiled broadly, his face electrified by the joy of the moment. ‘I thank God this wasn’t a capital case,’ he told the crowd.” The Innocent Man, Part One and Part Two—a staggering read (via Mefi). Ticks are making victims allergic to red meat (via Mefi). The trouble with leaving it so long between posts is where to begin, when the news keeps piling up and being newsworthy. A Hurricane Sandy post-mortem? Obama’s re-election? The Jimmy Savile fallout? Or how about on the home front: the whole family coming down with a virus for two weeks? Edging towards a start-date for building work on our attic, which we’ve been working towards all year? Zürich, which we visited in October—or Switzerland, for that matter, which I’ve now visited five times in two years, and am soon to visit again for work? It would all need so many words to do it justice, yet once again I have to write more words of assignment feedback instead. I really shouldn’t have abandoned the post-a-little-every-day idea, as it’s the only way to chip away at this stuff. Maybe I’ll reward myself with a post or two between feedback sheets. Integral House, Toronto. Paid for by maths textbooks. The Manifesto House, Chile. Made from the most important object in the global economy [via Mefi]. Tim O’Reilly on the Clothesline Paradox. An interview with Philip Gourevitch on Rwanda and Syria. The Swedish serial killer who never was. Stewart Lee on university funding and the arts. Why so many old pianos are dumped. Simple ways to protect your privacy while browsing. Carving the creepiest pumpkin ever. The Torture of Bradley Manning. How the BBC betrayed the NHS. The BlackBerry typo that landed a man in jail. The Music Industry’s New Math. Shop owner to change its unfortunate name. Neil Armstrong’s close call. Armstrong recorded an hour-long interview last year in an unlikely venue. Flight of the Conchords go Band Aid with “Feel Inside (and Stuff Like That)”. Jumbo fingerprints made by Kevin Van Aelst. I won’t get to see A Touch of Cloth until it hits DVD soon, but here are The Making Of, a Charlie Brooker interview, and (for post-viewing consumption) Charlie Brooker and Dan Maier in The Writers’ Room. The world’s new wonder material (via MeFi, like a few others here). A great meditation on identity and authorship, which could apply to more than book-writing. What is the internet? by Paul Miller, who’s taking a year off from it. A perfect Japanese word: Tsundoku (n.) buying books and not reading them; letting books pile up unread. Grand Irish Olympic sailing commentary by Hardy Bucks. Carol Ann Duffy’s poem “Translating the British, 2012” is good, but so are some of the Twitter parodies. Olympic medals per head of population. “I just witnessed the single greatest moment in human history” other than the Olympics. The Castaway’s Guide to Making a Home a long way away from the Olympics. The Proceedings of the Ever so Strange. Larry David and Jerry Seinfeld get coffee. Boris Johnson’s Olympic Welcome from Cassetteboy—see it quick before LOCOG send the lawyers round. Nikola Tesla’s letterhead was a thing of beauty. England as seen by Americans. A Conversation With My 12-Year-Old Self deserves the buzz it’s been getting. One young man’s tribute to Trololo. I doubt I’ll ever read Finnegans Wake, but Michael Chabon’s account of doing so is a great read. Tantalising glimpses of Sibelius’s 8th Symphony, which maybe, just maybe, could emerge one day. Forget shoring up Nokia, all Finland’s efforts should be focused on this. Jimmy Wales on when to use Wikipedia as a source. Running a desktop computer apparently costs twenty times as much as charging an iPad. But of course there are things iPads can’t run, such as Flash. Fortunately, you can do anything on your iPad at HTML5 ZOMBO.COM. Depressing news: an invasive plant is killing wombats. First koalas, then Tassie devils, and now this. Before long Australia will be down to Eastern greys and tiger snakes. With so much focus today on the discovery of the Higgs boson, the European Parliament’s rejection of ACTA has apparently escaped the detection of the mainstream press. My mother declared my bedroom a disaster area. Star Wars: The Fan Cut. Star trails over Victoria by Lincoln Harrison. 800,000 years of atmospheric CO2. Your E-Book is Reading You. More money makes us act less human. Any more questions from you and our friendship is at an end. The first 2012-Olympics-related thing that’s actually made me want to pay attention. But only because it’s Muse. Muuuuuuuussse! Interview with Guardian editor Alan Rusbridger. Interview with safecracker Ken Doyle. Thanks, Paul. Small world: as I was enjoying these BBC readers’ pictures of the transit of Venus I realised one of them was taken by my cousin in Deniliquin. I’m pretending you’re a computer, my small son said and stared at me until I cried. This break wasn’t intentional, but at marking time it was probably inevitable. Normal service will resume soon; in the meantime, some links. The flying stegosauri of 1,000,000 B.C. Total Paperclips of the Heart. Take Me Home, Ray Bradbury’s last published story. The Illustrated Man was one of the defining books of my childhood; his stories were all a bookish kid could have wished for. When I hit the atmosphere, I’ll burn like a meteor. Sofia Helin of The Bridge has never seen The Killing. Confessions of a recovering lifehacker. The basics of exposure and photography in ten minutes. This Twitter feed never fails to appoint. Forget about the working week. A familiar face, years before the world knew her. Wait for the high notes at the end. Every black hole contains a new universe. It’s turtles all the way down. Forests have started growing in the Arctic tundra. Nothing to see here, la la la. Webuyanycat.com is web parody in the finest tradition, along with sister sites Cats4Gold (“swap your shabby tat for a tabby cat”) and Cat Converters. Turns out it’s a subtle viral campaign, but with puns like these who cares. Speaking of cats worth buying, we introduced W. today to the joys of Maru. Great to see he’s still going. Popular has been immortalised by Saint Etienne. Blimey. The Seven Realities of Social Networking. Feeling deflated after the end of the excellent The Bridge. Bring us Series Three of The Killing, quick! How Yahoo Killed Flickr and Lost the Internet. The contract we did in 2001 basically gave me ownership of the tapes, and then ... when the new regime came in, the tapes disappeared. That was relevant because even though I was the owner, it would only revert back to me if I remastered from the original tapes—if the tapes were gone, I couldn’t remaster from them and hence I couldn’t ever own them. Easter Island heads have bodies. Historical perspectives on the LEGO gender gap [via Mefi]. Further reading: When Lego lost its head and Lego Club membership—are you a girl, or are you normal? Small, Far Away: The World of Father Ted. It is the worst film that has ever co-starred Anthony Hopkins and Stellan Skarsgård, unless they’ve teamed up to make Vileda Supermop: the Movie while I was sleeping. The frying pan as canvas: Saipancakes. Robert Downey Jr teaches you maths. Michael Rosen goes on a bear hunt: The billions we’re not allowed to talk about. MP Michael Meacher on the Sunday Times Rich List. Teeny tiny things (in Russki, via Meefski). Click the links that say “как это делается” to see how each one was made, and marvel at their ingenuity. Oh man, I’m dying here: Melodica Cover of the Jurassic Park Theme Song (thanks, James). In the same vein, wheeze along to The Bodyguard Theme Song. Speaking of wheezing: The ability to destroy a planet is insignificant next to the power of this recharger (via Twitter). I’m not sure if this is still worth doing now that third parties fill the gap, but here’s another batch of Twitter archives (see previously). I only started archiving them because I didn’t trust that Twitter would last, and maybe in the long run that’s still true. I’ve been using it mainly as a links blog anyway, and have posted many of those links here this year, but not everything has made it across. I couldn’t be bothered checking for link duplication below, but have omitted a few course-related tweets and some featured in earlier posts. Either way, there’s bound to be a link or retweet here worth a look. Behold the water slide so dangerous it was shut down immediately. The stuff of nightmares: a brilliant account of the sinking of the ferry Estonia in 1994 [via Mefi]. Lonely Boy (slow to start, but stick around until the halfway mark). Every “Exterminate” From Doctor Who. Nearly as many as you’d hear in a typical lunchtime in my primary school playground. Peter Serafinowicz’s Dalek Relaxation Tape—one of the finest moments of his recent 6Music run. Hearing this on the podcast almost had me doubling up in the sauces aisle of Tesco. Almost as good as the T-WOG$. Adam Buxton reads out some YouTube comments. How to Write the Great American Novel. Peak oil will stunt any economic recovery. Glyn Moody: Our Imminent Summer of Digital Discontent. Neil Tennant in 1992: Hatred can be positive. Angry Birds, Farmville and other hyperaddictive games. A life-size glass skeleton illuminated by krypton. No more yes. It’s either HELL YEAH! or no. The discovery of feathered tyrannosaur Yutyrannus huali reinforces what palaeontologists like Jack Horner have long said: birds are latterday dinosaurs. Which means that all those cartoons showing cavemen living alongside dinosaurs weren’t wrong after all. Exhibit A; Exhibit B. Six months ago: Trove of Dinosaur Feathers Found in Canadian Amber. I’m limping to the finishing line for March without any inspiration at all, having used up my February buffer completely. But if I can make this entry 112 words long, the average since January 1 reaches 274 and I win! (For now.) What I win is another question entirely. Great photo by Mauricio Alejo. “I know Roland Barthes”: the story of a PhD deadline [PDF, via MeFi]. The Dungeons & Dragons product cycle explained [via MeFi]. Susan Cain’s Quiet: The Power of Introverts reviewed by Jon Ronson. Alan Turing’s school reports [via MeFi]. This takes choreography to a whole new level. How Thatcher got lucky in 1982. An interview with Sam Bain and Jesse Armstrong about Fresh Meat. Australian government anti-piracy negotiations and the public interest. Dog mess could be subjected to DNA testing under plans being considered by a Lancashire council. “You can see where this is going,” tweeted Glyn Moody. Sequencing the dog mess genome? Surely not cloning the stuff. The spectacular rise and fall of a space shuttle booster rocket [via Mefi]. Rolling Stone on Climate Change and the End of Australia. I don’t always feel very triumphant, but apparently I am. Kurt Vonnegut’s letter home after being freed from Slaughterhouse Five. The Curator’s Guide to the Galaxy, a proposal to formalize “via” links online. The problem is that I can’t remember where I found half of these links by the time I post them (probably Metafilter, but possibly not). But hey, squiggles. “I’m not a ‘curator’”—that’s more like it. Squiggle Stephen Poole. Anil Dash on taming web comments. Not a problem right here, where the comments boxes are like those shop counters in sleepy towns where the proprietor rushes in from another room looking surprised whenever someone wants to buy something. Photos 1: The Poverty Line by Stefen Chow. Photos 2: Car Poolers by Alejandro Cartagena. Photos 3: Sea Change by Michael Marten. The Clouds have reformed, hooray! 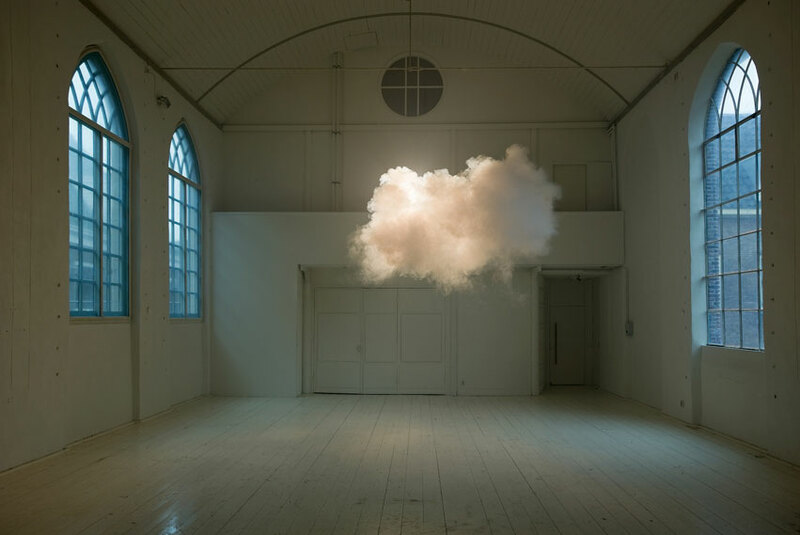 They should use one of these (by Berndnaut Smilde) as their next album cover. Pre-war celebrities in colour—worth a look for Orson Welles alone. Norway’s flag contains the flags of six other countries. On the Implausibility of the Death Star’s Trash Compactor. The Tomato, Accused but Probably O.K. In a recent Bat Segundo Show, Stephen Fry rattled off anecdotes and insights, making it a worthy supplement to the Fry Chronicles audiobook. Nice one, Ed. Against Big Bird, The Gods Themselves Contend in Vain. Before and after the Japan earthquake and tsunami. Why the Global Warming Skeptics Are Wrong by William D. Nordhaus. Those Fabulous Confabs, on TED, its imitators and its critics [via Mefi]. Those fabulous phasmids: the rediscovery and rescue of an enormous Australian insect. China Miéville on Apocalyptic London (soon to be expanded). Skilled migrants to lose the right to settle in UK. Theresa May replaces carrot with turnip. Why is the Sun prioritising benefit fraud when the tax gap is 100 times bigger? Why is the Pope Catholic? The Australian mining industry’s big lie. Eternal Copyright: a modest proposal. How audio engineers tweak music for the iPod age. The Difference [via Mefi]. Also: being God is a big responsibility. How do you become fluent in 11 languages? A blog about creative uses of paper. The Machete Order for watching the Star Wars saga. This is actually pretty convincing; I’m going to try it out on my experimental subject, er, son. A scale Lego model of the Death Star would be 3.5km across, would cost US$10 trillion in bricks, would have to be built in low-earth orbit to support its weight, and at that height would eclipse the sun. And my son would still want one for his birthday. Rhodri Marsden asked Twitter for people’s worst Valentine’s Day experiences and stories of awful dates, and got back plenty of pithiness and pathos. Romance Novels, The Last Great Bastion of Underground Writing. Don’t miss the jaw-dropping synopsis of The Sheik. The Death of the Cyberflâneur by Evgeny Morozov, author of The Net Delusion (which this might even inspire me to read at last). His model of cyberflânerie seems to be old-skool blogging of the LinkMachineGo kind. The 20 Most Beautiful Bookstores in the World. I don’t know about “most”, as it’s missing some wonderful bookshops I’ve seen myself, but there are certainly some impressive ones here. It’s a Snap! by Henry and Aaron: probably the most amusing TAFE recruitment video ever. Made me homesick for Australia, and went some way to making up for that Gina Rinehart poem. Warning for the faint of heart: you might faint. The competing claims for the Falklands. I’ve been trying to put my finger on what unsettles me about Argentina’s claims, and I think it’s the echoes of Indonesia’s stance towards East Timor and West Papua. But the parallels aren’t exact. A colleague and I ran a guest session on e-learning in one of our school’s other masters programmes yesterday, part of which was a practical exercise exploring different ways of delivering and discussing information online. The focus of the exercise (which was fairly arbitrary) was on how to nurture creativity. One group watched a couple of TED talks, by Ken Robinson and Elizabeth Gilbert, which are both good viewing if you haven’t seen them yet. The other looked for whatever they could on the web. Then they paired up online to discuss their impressions. I did the same search myself alongside the second group, combing through pages of Google hits to uncover the following. A few of these look like sites worth returning to, and they’re all worth a look. I was going to post something more sensible tonight, but I’ve been idly browsing Regretsy and OH MY GOD, SLEEVE SCARF AND BLUE TIGHTS MAN and OH MY GOD, CROCHETED VIKING BEARDS. Actually, the beards are pretty cool. I have some friends who would be prime candidates for those. Bonus Oh-My-God-ness: John Lennon Charcoal Picture. You start to root for the Coyote instead of the Road Runner. Oh no, the Beeminder yellow brick road is starting to oppress me... I have a four-thousand-word ace up my sleeve, but I’m not ready to play it just yet. In the meantime, I need to post at least 215 words today to keep on track. Here they come, one link at a time. Darkness, une très amusant webcomic (or, more accurately, webbandesdesinee) written and drawn in 26 hours [via Mefi]. Box Canvas Print of Paul Ross at Amazon. For the comments. Just in case you were feeling sorry for yourself: A Letter to My Old Master. Great ending. Two brilliant and related webcomics: Star Wars age 9 and Alien age 11 [via Mefi]. Makes me once again regret this moment of madness. Apocalyptic video games and the UK riots. The entertainment industry grew by 66% from 1998 to 2010. Why History Needs Software Piracy. History also needs actual piracy, or the Caribbean would be far less interesting. A nostalgia trip for those of a certain age who loved The Kenny Everett Show (where I first saw it): Bambi Meets Godzilla. Yes, it’s another day where I have no time to meet my 274-word target, only the post-a-day one. Don’t worry, they won’t last forever. Nothing’s happening, dum de dum, la la la. Glyn Moody on the next battle after SOPA. He refers there to Meganomics, which is an eye-opening read on the hyperbole that flies around in this debate. Virtual reality tour of the Sistine Chapel. One-ton metal mammoth made from old farm equipment. What were you raised by wolves? This timelapse video of Yosemite is the second I’ve seen in a week that uses M83 to soundtrack a time-manipulated video. The other was about surfing at Teahupo‘o and used “Lower Your Eyelids to Die with the Sun”. Both worth a watch and a listen. Possibly the most perfect obituary ever: N. Molesworth speke about Ronald SEARLE [via LMG]. In the Land of the Non-Reader. Ten alternative book covers and film posters. The oldest song in the world, plus recordings of interpretations of it. A guest post on Miranda Gibson’s Observer Tree blog of photos by Rob Blakers showing what’s at stake there. Movies From an Alternate Universe (and the original inspiration). Nice work. Why you are not into music anymore. Also, some sage advice on how to make a living playing music. Microsoft are trying to lock out the competition on the quiet—in ARM-powered mobile devices, where they hope people won’t notice. Uh-oh. Better post a link before midnight, or I’ll turn into a pumpkin. The world’s smallest unit of magnetic storage, using just 96 atoms to create one byte of data. I missed this in August: 25 minutes of new music from Röyksopp, on their site for free. But hang on: turns out I also missed a whole year’s worth. A bunch of links trawled from Mefi, Twitter and elsewhere. My Pingu-loving four-year-old must never see this: Pingu vs The Thing [via Mefi]. Or not for ten years, at least. With this update for December 2011, the Feed is closed again. Stick around here instead for all your 2012 links-blogging needs.